I’m here to persuade you to rethink that idea. Digital photography allows anyone to be a photographer with limitless ease. Simply take out your phone and snap away. It’s simple, easy, affordable and fun. 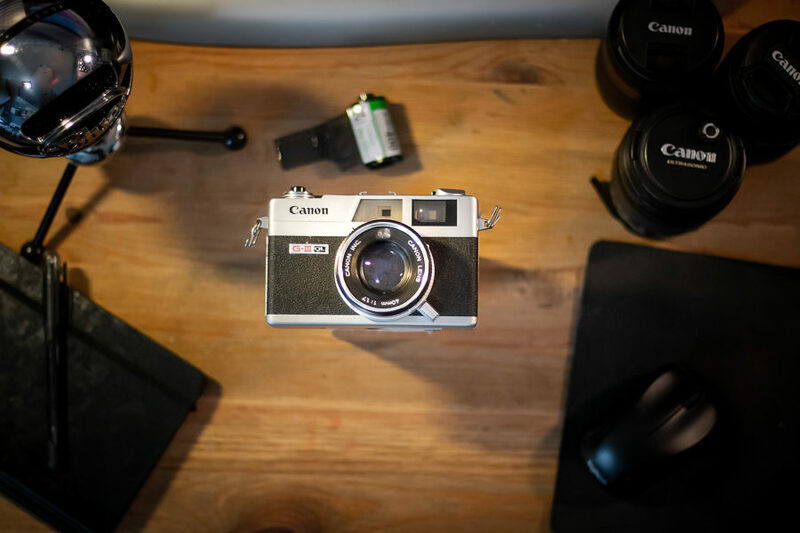 Upgrading to a DSLR, or the more modern mirrorless cameras, from any of the countless brands is the next step for anyone who has the time and money to pursue this hobby. You can enjoy photography from anywhere, take as many pictures as you like, capture anything you’d like and share it all with the world! Unlike digital photography, film photography only has a certain number of pictures on a film reel. You have a limited amount of light range. And the biggest downside is the price. Film photography is very expensive. Very. To keep countless thousands of digital photos on your phone laptop hard drive is the same investment as it is to take only a few hundred film pictures. This is due to the nature of the storage of film. Film is a strip of plastic around an inch tall and 5 feet long. Each picture taken using a film camera, more commonly known as an exposure, has its own little plot on the strip. Each plot sits next to another on the film strip until the entire length has been used up. Depending on the camera, photographers might wait for the camera to automatically roll its film back up into the canister. Or, on older cameras, photographers manually crank a lever to load the film back up. Then you simply pop the film canister out of the camera and load another one in. To see how the pictures turned out, you print them at a local drugstore or a photography shop. You can have the pictures printed in a large range of sizes, on several different materials and how many prints you’d like. And after a few days, you can pick them up and see how your shoot went. Doesn’t this all seem far more complicated than using your phone? Well yes, it is. But photography isn’t about the easiest way to take the best-looking picture. Photography is an art form where individuals can express themselves via how they choose to take their photos. Now, let’s take a step back. We’ve been talking about the mechanics and practicality of film versus that of digital. But what about the quality? Isn’t the whole point of photography the photos? I hope so! Capturing the same image on film opposed to digital can look the same to some degree, however, it does, in fact, vary a bit. The quality of an image is usually sharper and more defined on digital cameras. The perfect lighting is much easier to attain without losing image quality, due to the ability to change the ISO whenever you’d like. Film captures more subtle detail to your image: darker blacks, lighter whites, and far more vibrant saturation hues. Focusing is more forgiving of slight inaccuracies on film, making it easier to nail your subject. Obviously, the benefits of film photography over digital photography greatly depend on the quality of the film. This is a mere mention of the differences, positives, negatives, preferences and opinions about the uniqueness between digital photography and film photography. Digital is easier and seems to look better for it too, yet the experience of a film outweighs any downsides. Within film photography you’re challenged to capture whatever the subject may be, in a limited capacity; but, the smaller number of exposures in film photography challenges you to truly think about how you want to take the picture, what you want in frame, how bright, how dark, what’s in focus and what’s not. You learn more about your own creativity and your camera by being mindful of the number of exposures left. That’s the reason film photography has survived into the modern era. Yes, it’s more complicated. Sure, it’s more expensive. Yeah, it’s less for your time. All these downsides away, photography is a way to show the world your view through your camera. And film photography is a good way of doing that.